Uses: Health Care Lengths: 3 panel 5'-9" Heights: 6'-5"
Jennifer M. Burton, Facilities Assistant Manager at Willamette Dental Group in Eugene, OR sent us these photos of their new Screenflex unit in use. The contact us looking to create an area that could give privacy and comfort for their dental patients during consultations and procedures. They wanted a space that could be used as both an area where proposed treatment plans could be discussed privately, as well as it serving as a procedure area. They considered going about it in a conventional way by constructing a wall and adding a door, but would not only have been expensive and permanent but would have also interfered with their lighting and HVAC systems. Instead, they placed a call to Screenflex design consultant Kim St. Claire. Kim was able to take their measurements and help them select a unit that would fit their space. They loved that it arrived fully assembled and that they had several neutral Colors to choose from and the sound absorbing properties were another reason they chose a Screenflex room partition. 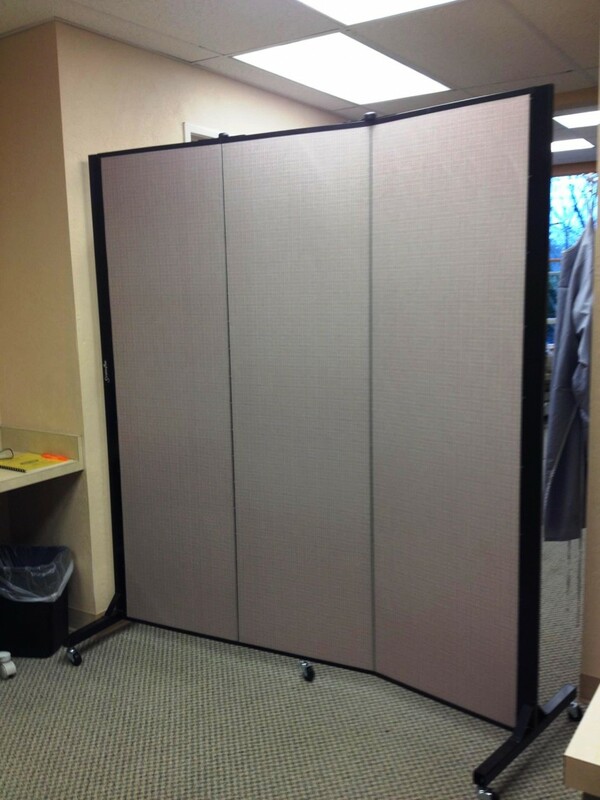 They simply extend the divider to the fully open position and it fits right inside the doorway for instant privacy. 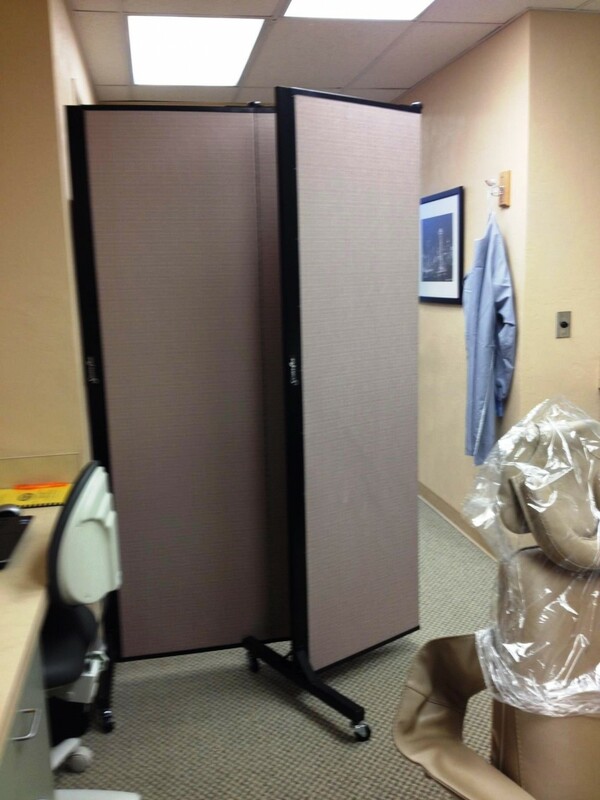 They’ve also found that using a rolling temporary wall allows them to easily move the portable screen to another dental operatory room if the need arises. Now that they’ve received their unit Jenni tells us it’s working great for them and one of the biggest benefit is this allows them to maintain patient privacy in an otherwise largely open treatment area.